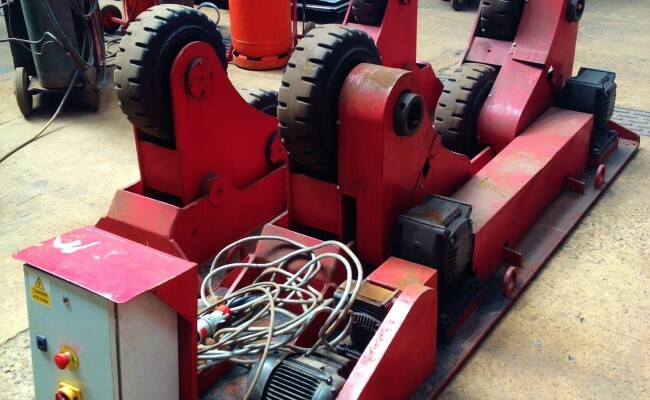 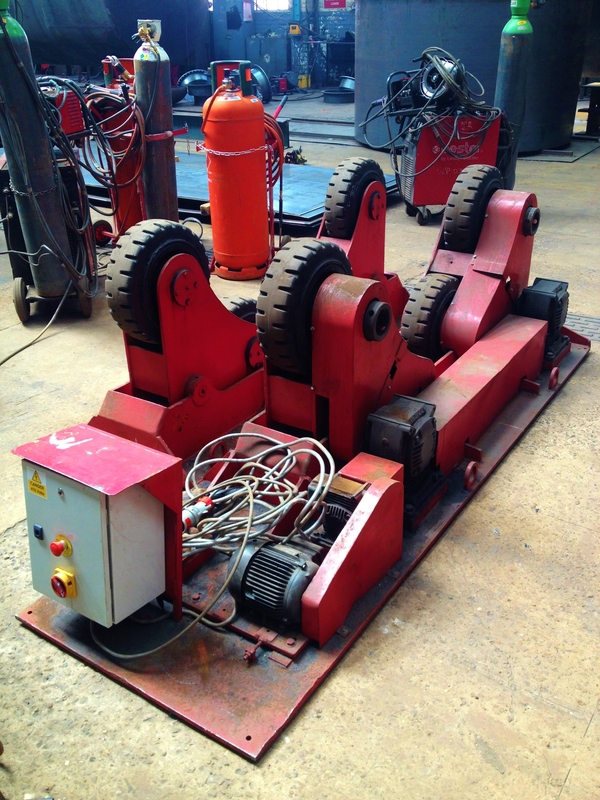 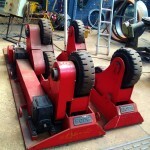 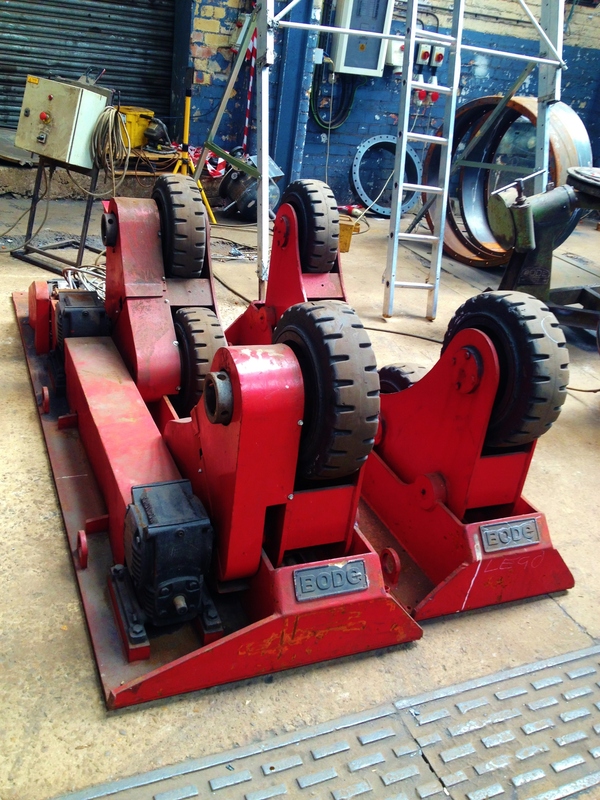 These here are our BODE 15 Tonne Self Aligning Welding Rotators with cushioned tyres. 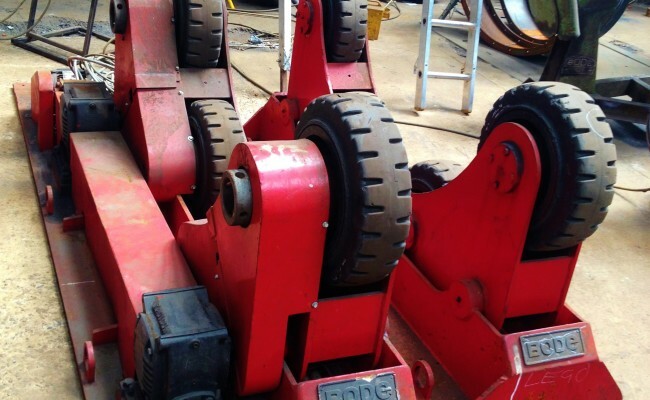 The cushioned tyres as seen in the photos are in immaculate condition which allow for extra grip compared to slick style, as well as the rest of the rollers being perfectly maintained, serviced and tested. 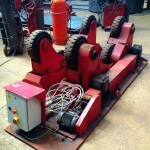 We have also fitted a new electronic panel control box and new cabling, which is part of our modernising process.